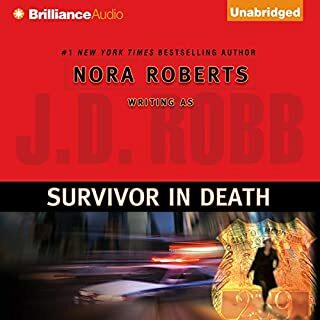 ©2013 J. D. Robb (P)2013 Brilliance Audio, Inc. 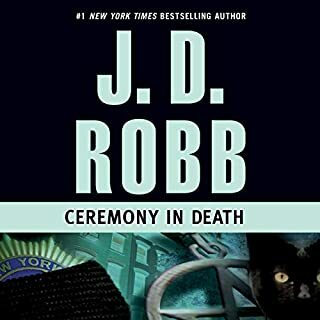 I loved the side plot with Roarke even more than the main murder, which is becoming more and more of a thing as the series progresses. The murders? Interesting. The side characters? Engrossing. 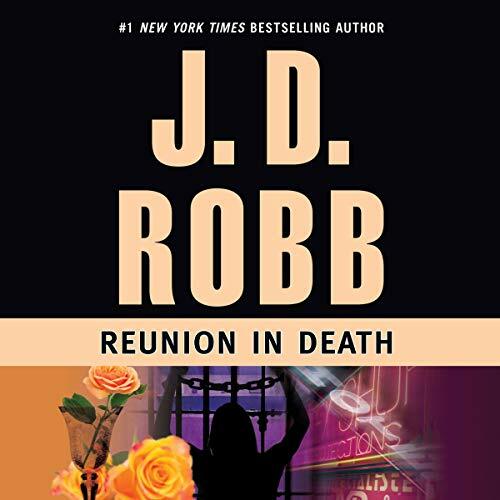 Would you consider the audio edition of Reunion in Death to be better than the print version? Love Susan Ericksen's narration! 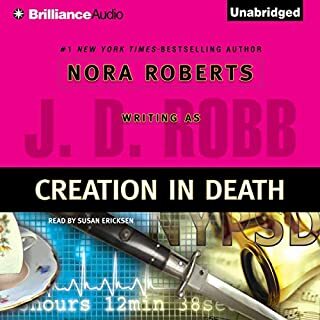 This is a re-recording of one of the first audio books in the series (no, they weren't done in order) and the voices of the characters are what we've grown to know and love. Eve, of course. Why, because she's Eve Dallas. The hotels in Dallas.. the upgraded one from her childhood, and Roarke's. 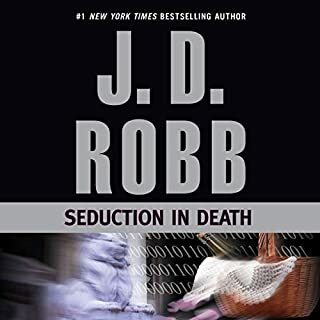 I heard a year ago Susan Ericksen was going to re-record a number of the earliest recorded books, I think starting with Seduction, saying when the recording started, the characters were new to her and didn't know them as well. So good to see the releases are now coming.. Seduction, Reunion, Purity and now Portrait. Good move Brilliance audio!! 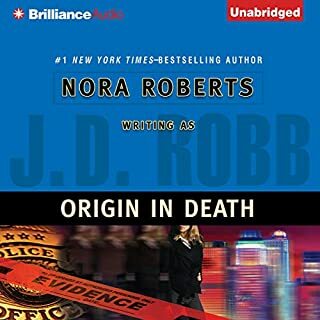 Nora Roberts (writting as JD Robb) delivers yet again in creating a realistic sense of what the future may hold while engaging the reader in a fascinating detective story. Flying cars, pedestrians on glides instead of sidewalks and the craving for a "tube of pepsi" or a meal from the "auto-chef" are all integrated seamlessly into the narrative. 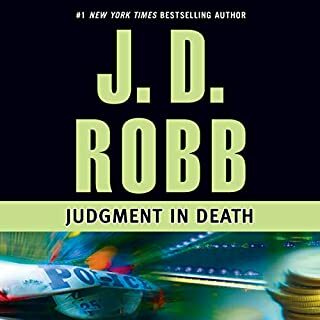 Like the best police partners, the narrator too does an EXCELLENT job allowing the reader to imagine each character. She is one of the few narrators for whom I am a groupie and would listen to any story she performs. I am so glad she consistently reads for this series. What made the experience of listening to Reunion in Death the most enjoyable? I enjoyed the introduction of Peadbody's parents! 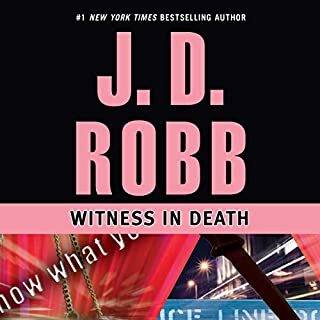 The characters related to the crime were all interesting, and the take down at the end was all Eve. What was one of the most memorable moments of Reunion in Death? The introduction of Peabody's parents. Voices all stayed pretty true to form. 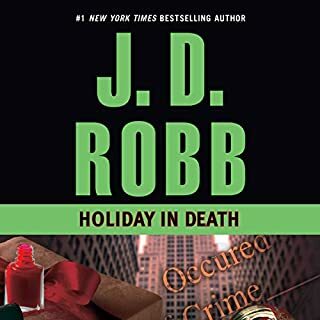 NY homicide detective, Lieutenant Eve Dallas, and her successful businessman-husband, Roarke, have returned from a relaxing vacation. Initially Eve has no pressing cases so she pulls a cold case and begins to work it with her aide, Peabody. 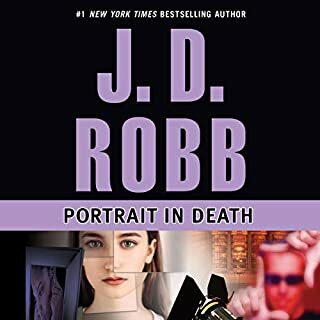 Soon a murder comes in to pull Eve's attention so she gives the cold case to Peabody as a side assignment as they begin the pursuit of the new murder. Very quickly Eve suspects the MO of a female killer she put behind bars years before. 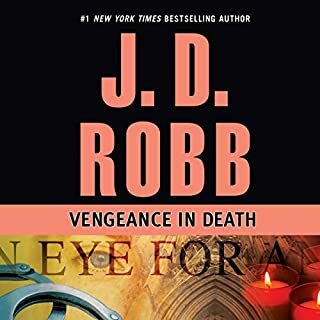 Sure enough, the woman has been released from prison and has lined up targets, including Eve and Roarke. This sets up conflict between the strong-headed couple as they jockey for ways to protect each other and to capture the deadly enemy. Peabody's intriguing parents arrive to make matters interesting on the home front. Eve isn't the most comfortable hostess and now she has to play nice with this unusual and sensitive couple. 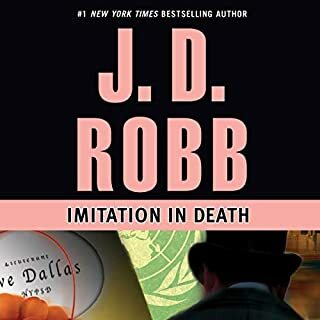 Eve's chase of the murderer has Roarke accompanying her to Dallas and Italy. I laughed over the city girl's reaction to the country setting, keeping in mind the futuristic aspects that result in Eve being unfamiliar with farm smells and critters. 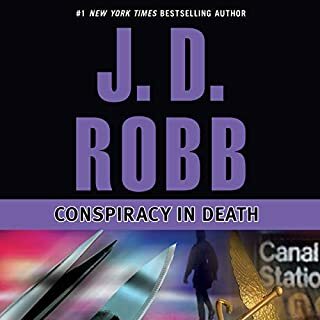 On the other side of the globe, Eve has to work her way through the red tape of the Italian police hoping to get to their suspect before she slips back to US where she is likely to go after Roarke. As always, there is plenty of good action and police procedure as well as engaging dialogue. There is emotional trauma as Eve faces her childhood memories in Dallas. I liked how Peabody’s parents came to appreciate her skills and career choice as she got to cut her teeth on a case of her own. There is some POV head hopping but it works with this series. 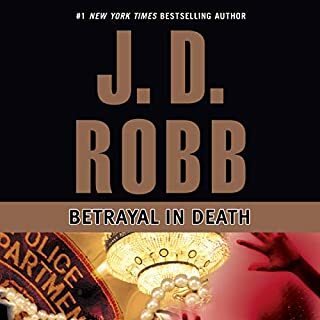 This is a reliably wonderful series with each book presenting police suspense and personal conflicts among the characters. 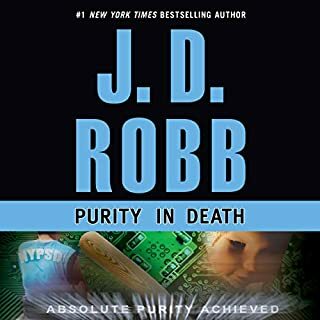 Although the stories could be read out of order I recommend starting at the beginning so you can enjoy the development of the character relationships. 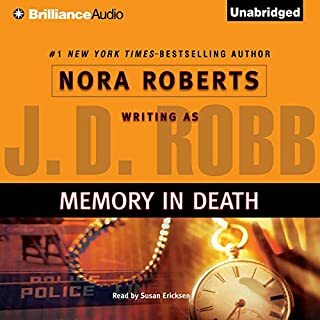 Audio Notes: Susan Ericksen once again does a stellar job of narration. She added the voice of the villain and Peabody’s parents to her already wonderful range of characters. I always enjoy the listening experience for this series. Best thing since sliced bread. Listen ever day when I ride my bike to and from school. If you could sum up Reunion in Death in three words, what would they be? Couldn't sum up in only three words too much going on . 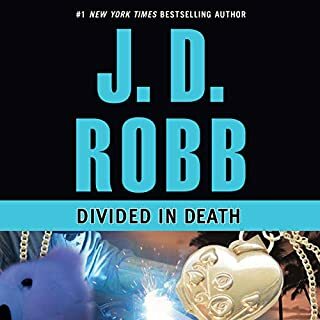 I missed this one even though I have 39 books in the series. I just purchased when it was on sale and glad I did. So much in this story. 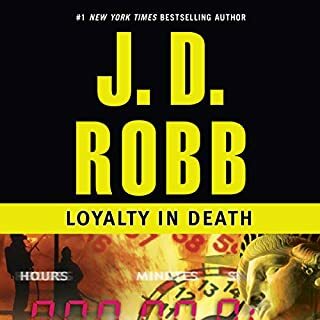 Even though I've listened to all the previous "In Death" books before this one. It didn't loose anything for me it really made some things clearer. Eve and Rorke both have lots of baggage from their childhood, Eve's being the most horrible. However they support each other. That is the bottom line. I've really like this series so far and glad I went back and got this book. 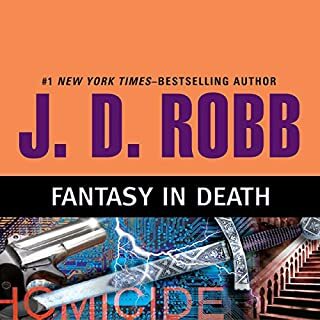 once again Jd Robb hits it out of the park! I am always anxious for the next book! ! This book tore at my heart, made me mad, and made me laugh. An author that can do that is exceptional. I was buried in the story throughout from beginning to the end. Eve and Rourke's chemistry makes these stories so entertaining.